INDUSTRY.co.id - Makassar - Hasanuddin University and Yokohama City University (YCU) of Japan established collaboration and cooperation to hold an event titled "International Conference 9th for Sustainable Cities" at Unhas in 2018, this year. 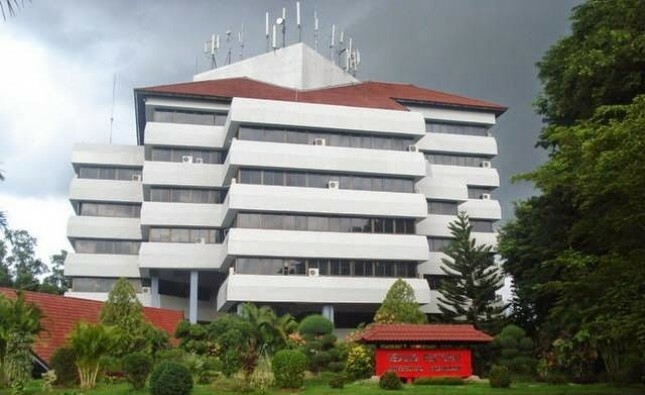 Head of Public Relations and Protocol Unit of Hasanuddin University, Ishaq Rahman in Makassar, Friday, said that the delegation from YCU has even come directly to the campus to discuss further related the plan. "The delegation of YCU and the International Academics Consortium for Sustainable Cities (IACSC) visited today, consisting of Prof Hidefumi Imura (IACS chairman), Prof Akihiro Nakamura and Prof Rui Ota (YCU) and Dr Hara (secretary general of IACS). a group of Ms. Miyakawa and Ms. Miyora (IACS secretarial staff)," he said. The delegation was received by the Vice Rector for Innovation and Cooperation, Prof. dr Budu PhD, SpM (K), MEd, accompanied by Director of International Cooperation Unhas, Dr M Iqbal Djawad, MSc. In addition to the implementation of an international consortium, the meeting which took place on the 6th Floor of Unhas Rectorate Building discussed several agenda, among others the cooperation of research projects on urban planning, green city and climate change. Includes also discussed the student exchange plan, Summer Course. He explained that the International Academic Consortium for Sustainable Cities (IACSC) is an initiative that began in 2010, is a network of universities and partner institutions concerned with sustainable urban development issues. The consortium has held an annual international symposium, namely Yokohama, Japan (2010), Penang, Malaysia (2011), Bangkok, Thailand (2012), Quezon City, Manila, Philippines (2013), Ho Chi Minh, Vietnam (2014), Yokohama, Japan (2015), Penang, Malaysia (2016), and Bangkok, Thailand in 2017. "For the year 2018, the annual symposium of IACSC is planned to take place at Hasanuddin University, Makassar.The arrival of Prof. Hidefumi Imura and the entourage is in order to discuss the implementation plan of the 9th symposium," he explained. Director of International Work of Unhas, Dr. Iqbal Djawad said the program with Yokohama City University was an important step to put Unhas international reputation. "Unhas is believed to be part of the International Academic Consortium for Sustainable Cities (IACSC) as a core member, while the core members are only 12 entities, consisting of universities, international institutions and global NGOs," Djawad said. One of the benefits of participating in an international consortium is that Unhas lecturers have the opportunity to engage in joint research with international partners, potentially generating articles in reputable journals, increasing citation. By itself this will encourage Unhas academic reputation. In exposing itself as a World Class University, Unhas continues to open international networks in the form of implemented cooperation. The current trend of Unhas is to ensure that any cooperation does not end at the signing stage of the MOU, but is manifested in concrete action.